The answer to the second of those questions is an unequivocal “yes”. 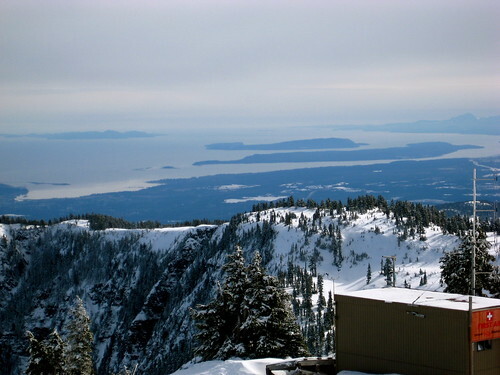 Half-way down the spine of mountains that runs north to south along Vancouver Island, towering majestically over the Comox Valley, outdoor enthusiasts will find the home of British Columbia’s deepest snowpack. In fact, the current base reaches a depth of 391cm (that’s more than 13 feet)! 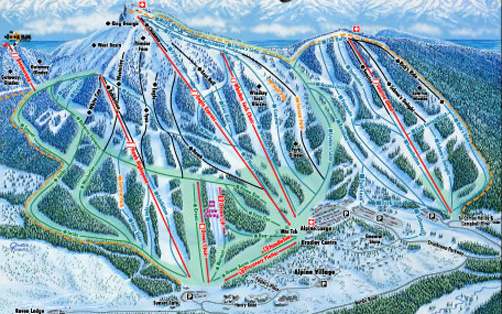 Named for Rear Admiral John Washington of the British Royal Navy, construction on the resort was launched in 1977 before the lifts at Mount Washington first whisked skiers to the peak in December of 1979. 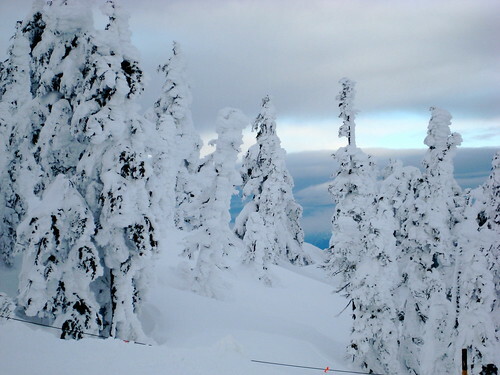 The powder-laden resort was an instant success, giving nearby Forbidden Plateau some serious competition. 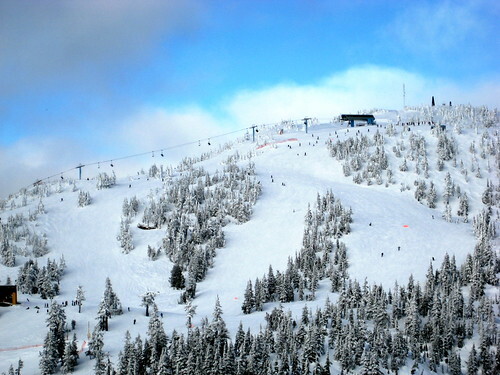 In its 31-year history, Mount Washington has expanded to more than 1,600 acres of skiing and snowboarding thrills, nine high-capacity lifts, extensive nordic terrain, a condominium and chalet village, tasty eateries, slippery snow tubing and a legendary backcountry area. 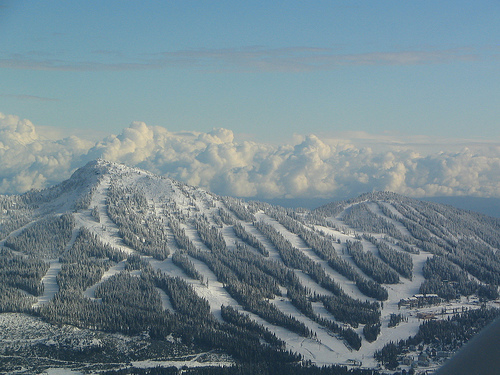 One might argue that Mount Washington’s greatest value is found in the stunning vistas, stretching out across the entire Comox Valley, the Georgia Straight and rugged peaks to the south. Needless to say, it’s not been difficult to convince Rebecca to return with me. The cold beers at Fat Teddy’s Grill in the lodge may have had something to do with that. 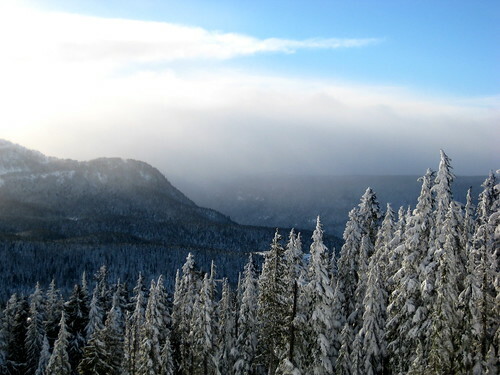 Don’t let the copious snowfall at Mount Washington fool you. The resort is also a paradise for those who seek sunshine in the summertime. 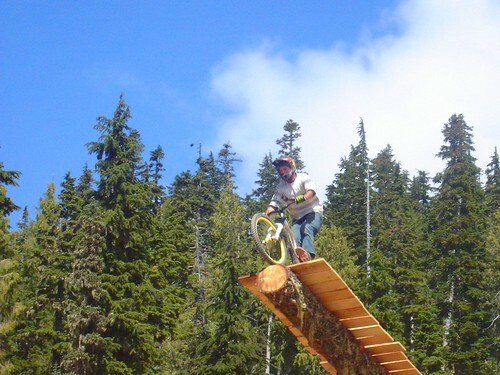 With winding hiking paths, frisbee golf, BBQ events, an epic network of mountain biking trails, an annual wine festival and even some shopping, there’s no shortage ways to fill your days. 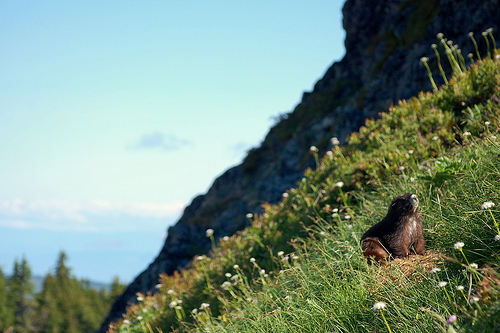 Aside from the obvious attractions, Mount Washington is also home to the endangered Vancouver Island marmot . This species is native only to the sub-alpine meadows of Mount Washington and, thanks to tireless recovery efforts, the wild marmot population has been increased from 25 to 100 since 2001. Keep your eyes open – they aren’t easy to spot! 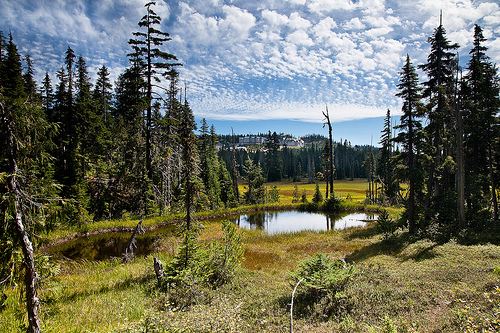 However, you may also find yourself face-to-face with bears, cougars or elk amongst the woodland. 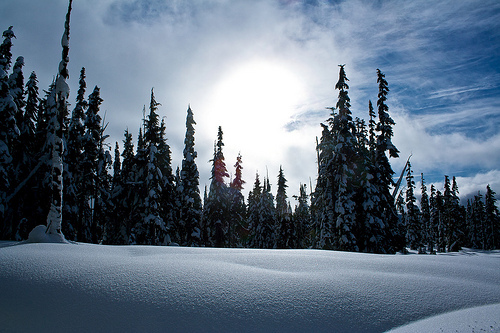 With glistening snow and crisp air, these pictures do more than speak for themselves. 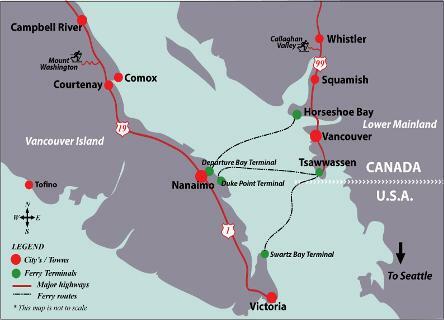 Next time you find yourself visiting Vancouver Island – or exploring your own backyard – you owe it to yourself to discover the crown of the Comox Valley. 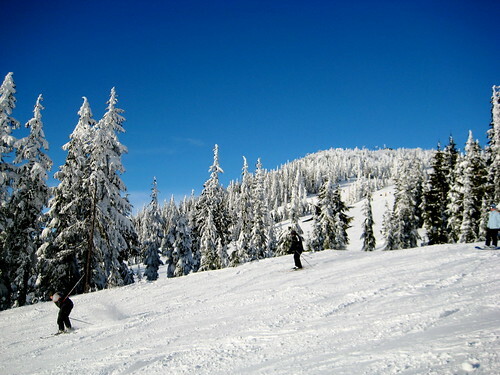 Mount Washington Alpine Resort is accessible by car at the top of an entirely paved parkway; chains are encouraged (and sometimes mandatory) throughout the winter months. 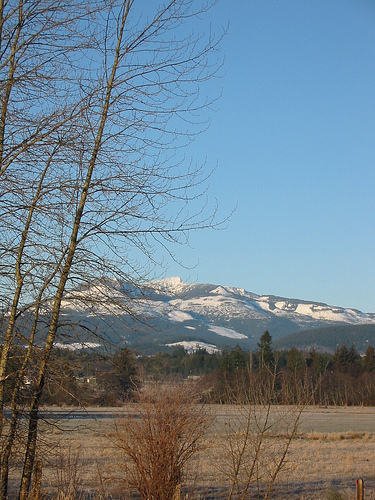 From the inland Island Highway (Highway 19), take exit 130 onto Strathcona Parkway – the resort is located at 1 Strathcona Parkway. For more information, call the resort at 1-888-231-1499 or visit their website. You can also follow the resort’s updates on Twitter. Your Island Profiles make me so excited about living here. What a beautiful place. That fresh mountain air must be exhilarating. Here’s a quote from their site!!! !